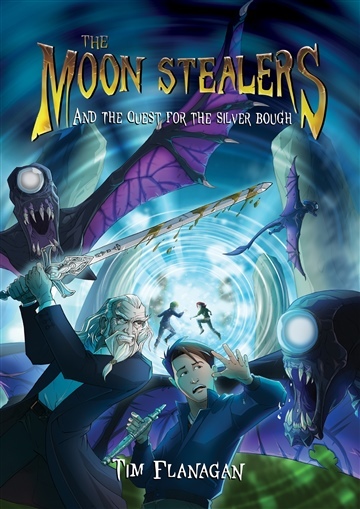 "If The Hunger Games and James Dashner's Maze Runner Series have left you eager for more, The Moon Stealers is the next big Fantasy series…"
WHAT WOULD HAPPEN TO MANKIND IF AN ALIEN BACTERIA ARRIVED UNEXPECTEDLY ON OUR PLANET? THE MOON STEALERS : PART 1 Meteorites land on Earth every day. Most no bigger than grains of sand. But what if one of them contained a bacteria that was alien to our planet? The unusual disappearance of a young boy from a graveyard catapults two of his school friends on an adventure beyond their imagination. By unravelling ancient codes and riddles the children journey within the bowels of Edinburgh Castle as they attempt to find the key to their friends' disappearance. But, it's a race against time as the very existence of mankind is held in the balance. At some point in Tim's childhood, he was abducted by aliens and sent on a voyage of knowledge and discovery across the universe. Eventually the aliens realised how pointless this was and, as a failed student, he was returned to Earth and left with a family who brought him up as a human bean. But, the persistent memories of new worlds, dragons and other creatures, continued to knock at his frontal lobe, desperately trying to break out. To avoid making a mess and calm his imagination, Tim began writing as a way to communicate with Earthlings. Fuelled by Chilli and Nachos and a bottle of wine, Tim manages to balance a love of loud rock music and fast cars (preferably red!) with emotional chic flicks, smart leather shoes and a well tailored suit. He has successfully infiltrated the humans and hides behind the façade known as a family. He learns from his children, but is regularly told to stop acting like a child by his wife. Naturally shy and unsociable by nature, he is selective of the human company he keeps, preferring to be around old books, bonsai and art. He cries at 'It's a wonderful life' but sulks if fed evil vegetables disguised as Parsnips or Peas. He is bored by mundane conversation, excited by architecture and castles and fuelled by Caramel Latte Macchiato's. Occasionally, he likes to catch up with old acquaintances on Tatooine, Westeros, and Middle Earth, and stare at fantasy and concept art as if it is a window to his childhood adventures. He is always trying to learn lessons from the masters; Mr Charles Darwin and Mr Lionel Ritchie, about life and love. Tim's galactic mission is to translate his brain activity into a language that inspires and entertains you, transports you to different worlds and grants you an audience with the characters you have dreamt about, but never dared to remember. All of this in an attempt to redeem himself with his childhood alien abductors and travel the stars once more.